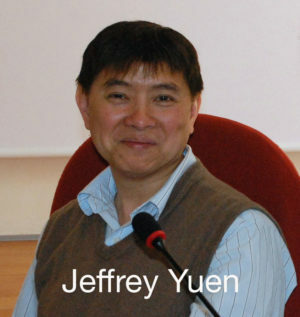 After the great insight that we gained into the Divergent Channels, the Jing Bie in December 2017, Master Jeffrey Yuen is going to teach about the Luo Channels and their relationship to emotions. The Luo Channels are described in Ling Shu Chapter 10, following the description of the Primary Channels. There it is implied that the Luo are a visible manifestation of the Primary Channels. The character Luo 絡 indicates that these channels create a network of channels, and therefore complement the Primary Channels; it also means a ‚woof in a loom’ and ‚to connect’. The 15 Luo Channels together with the 12 Primary Channels make 27 pathways. 27 is 3 to the power of 3, symbolizing the full diffusion of the Qi 氣 that commands life. The Luo Channels communicate to and connect the microcosmos and the macrocosmos and help us therefore to process the world, our emotions and temperament. They move upwards towards the chest/Pericardium, with the exception of Lung and Gallbladder Luo. They buffer off pathogens by “supplying it with Blood 血”. Therefore the Luo become visible when need to be treated. Because the Luo vessels are carriers of Blood they are clearly related to emotional issues, as the Blood carries the Shen 神 and thus our emotions. We can see the Luo Channels as a mechanism to protect or divert the emotions away, so that they do not become acknowledged. In this context they can be used to free moods, suppressed and repressed emotions and therefore give us personal freedom. In this two days of teaching we’ll explore the role of the Luo in the Channel system, the trajectories that also relate to our personal development and we’ll learn the way to use them in treatments with either bleeding or Moxibustion.